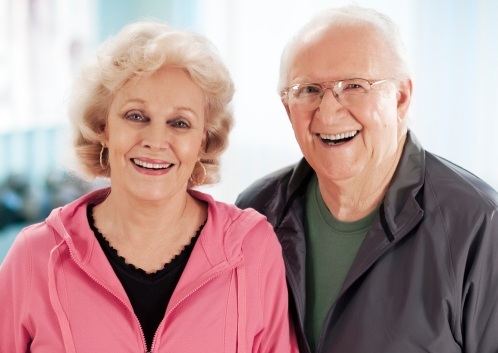 A partial or denture is a removable replacement for missing teeth and adjacent tissues. It is made of acrylic resin, sometimes in combination with a metal framework made from vitalium. Partial Dentures fill in the spaces created by one or more missing teeth on one or both arches. This type of appliance prevents the existing teeth from shifting into the open spaces and gives the opposing teeth something to chew wish, and spreads the chewing forces evenly across the arch. Removable partial dentures consist of replacement teeth attached to pink or gum-colored acrylic bases, which is connected to a metal framework. Removable partial dentures attach to your natural teeth with metal clasps. Crowns placed on your natural teeth may improve the fit of a removable partial denture. Partial dentures can also attach to the teeth with devices called precision attachments. These are generally more aesthetic than metal clasps and are nearly invisible. Partial dentures can also be secured to the jaw bone by attaching to one or more dental implants. Dental implants keep the removable appliance more securely in place and usually do not need a clasp in that area, making the appliance more aesthetic. Full Dentures are needed when all the teeth on one or both arches are missing or need to be extracted. Full Dentures consist of replacement teeth attached to a pink (gum colored) acrylic base. Full Dentures can be secured to the jaw bone by attaching to two or more implants. Dental implants help keep the full denture more securely in place. The Partial or Full Denture takes approximately 5 visits to complete. Impressions are taken and then measurements to determine the proper height (vertical dimension). A try-in is done with the replacement teeth set in wax to assure proper fit, shape and color of the teeth and the acrylic base(s). After the Partial or Full Denture is delivered an additional 1-3 visits may be needed to do minor adjustments.